House Republican leaders this week released their budget plan, the first step in funding the federal government for the 2018 fiscal year. Nowhere in the 63-page budgetary blueprint does it mention oil and gas development on lands in Alaska set aside for wildlife. Nor is the Arctic National Wildlife Refuge, which oil and gas developers have long wished to plumb, cited anywhere in the legislative text itself. But some environmentalists and Democrats say the budget proposal has the obvious fingerprints of those who want to expand Arctic drilling. "This is hijacking the budgetary process," said Lydia Weiss, director of government relations for lands at the Wilderness Society. "The budget reconciliation process requires only 50 votes because it's not supposed to include thorny policy like this." The draft budget resolution before the House Budget Committee, they say, kick-starts a Rube Goldberg machine-like series of parliamentary procedures that, unless derailed, would lead to the opening of ANWR to drilling through only simple-majority votes in the House and Senate. The budget committee plans to mark up and vote on the budget draft today. Here's how it works: In 1977, Congress asked the Interior Department to study potential drilling in a 1.5-million-acre coastal plain rich in oil in the ANWR. After a decade of review, the Interior Department under President Ronald Reagan recommended drilling on the region, sometimes called the "1002 Area." All Congress had to do was give its go-ahead. 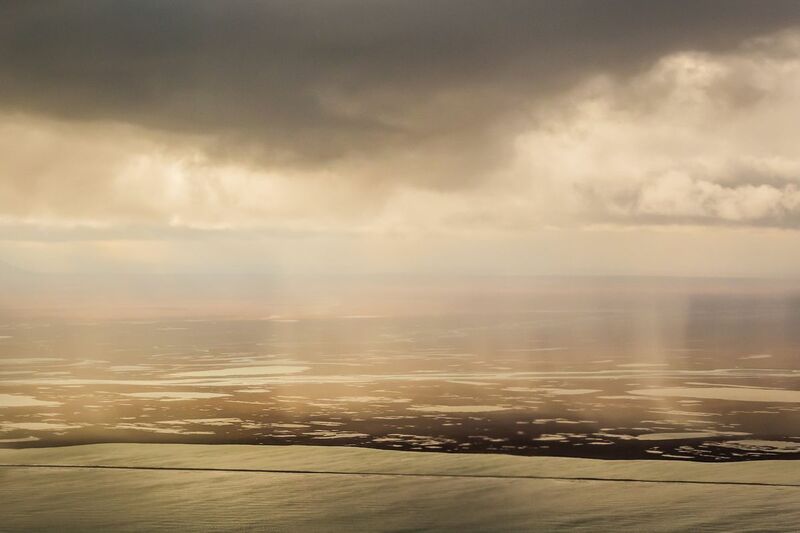 But for three decades, environmentally minded members of Congress (mostly Democrats, but several Republicans, too) have successfully stymied that approval despite sustained efforts from Alaska's congressional delegation to open ANWR to drillers. Now a subtly worded section tucked into page 56 of the House GOP budget blueprint may bore the beginning of a path to drilling ANWR. The House Budget Committee could instruct the House Natural Resources Committee to find a way of generating $5 billion in extra revenue over the next 10 years as part of the budget reconciliation. Unlike regular legislation passed by Congress, budget reconciliation cannot be filibustered by Democrats – meaning it can be passed with only 51 votes, or 50 votes with Vice President Mike Pence breaking a tie. Green groups fear that GOP lawmakers may turn to ANWR to raise that revenue, though no one has actually said that is the case. They point out that drilling there would yield roughly that same amount of money in additional receipts over 10 years if the oil and gas there were pumped and sold, according to a 2012 Congressional Budget Office analysis. "The proposed budget is a direct attack on the crown jewel of our National Wildlife Refuge System and another clear attempt to sell out our federal public lands to Big Oil," argued Jamie Rappaport Clark, president and chief executive of the Defenders of Wildlife. The top Democrat on the House Natural Resources Committee, Rep. Raúl Grijalva, D-Ariz., shared that understanding of the budget language too, according to a press release. "Republican thinking on energy and environmental protection froze in place during the Reagan administration, and today's hearing and this budget are just more proof," Grijalva said in a statement. Opening ANWR to drilling is still a big "if": Using the 2018 budget reconciliation process to give the thumbs-up to Arctic refuge drilling would mean placing it ahead of other GOP priorities. Opening ANWR has long been a top issue for Sen. Lisa Murkowski, R-Alaska, chair of the Senate Committee on Energy and Natural Resources, but it's unclear how important it is to other Republicans in Congress. President Trump's budget director, Mick Mulvaney, has said that drilling in the refuge is one of the administration's top priorities.